Buy this item and earn 20 Farfy Bones valued at $1.00. A virtually indestructible (and guaranteed) chew toy! The GoughNuts Ring is tough, bounces, rolls, and floats and comes in a variety of sizes for a variety of dogs. GoughNuts (patent pending) "Chew Toy Safety Indicator" is a mechanism for the dog owner to see a clear indication of when to take the GoughNut from the dog. "Green means Go and Red means Stop." 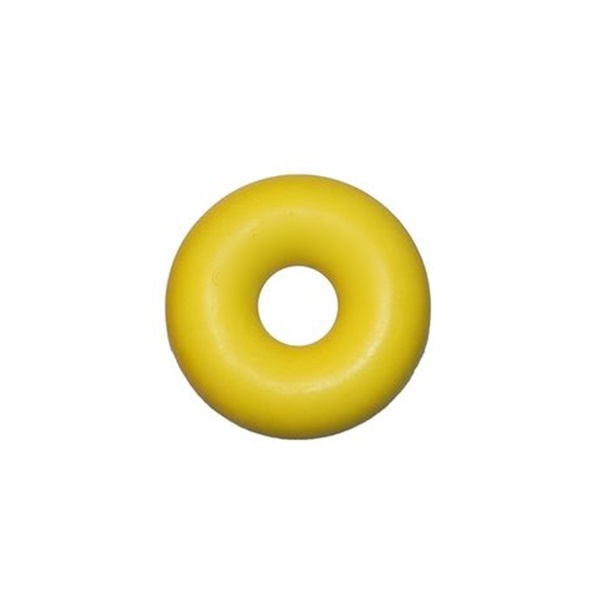 GoughNuts Guarantee - If your dog chews through the outside wear layer, Green or Black, to expose the indication layer, Red, GoughNuts will replace your toy.